Shown above is a line of any length. You are aiming to create a new line that will make an angle of 30° to this line. Next we bisect angle CAB which will give us Angle FAB = 30 degrees. 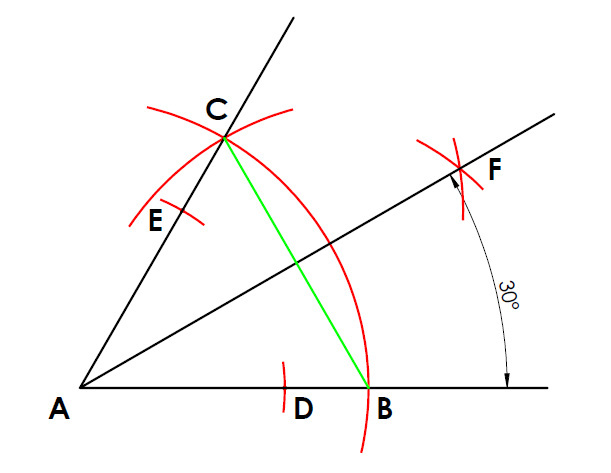 See bisecting an angle if you are unsure on this step.